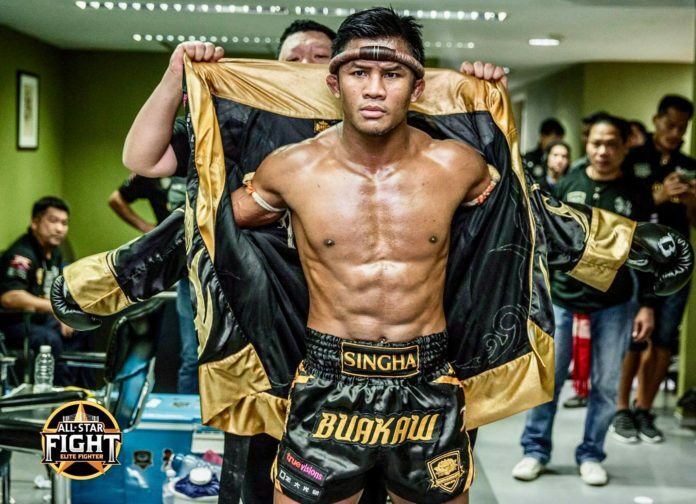 Buakaw Banchamek is back in the ring on April 28 in Bangkok. In his next outing Muay Thai star faces Niclas Larsen of Denmark. The pair battles out in the main event of the third edition of ‘All Star Fight’. In his previous bout last month in Abu Dhabi Buakaw lost by decision against Spanish Jonay Risco. Before that he had earned seven straight victories against Nayanesh Ayman, Sergey Kulyaba, Andrei Kulebin, among others. Larsen is known for his bouts at GLORY Kickboxing. His resume includes the victories against the likes of Yodkhunpon Sitmonchai, Steve Moxon and Lukasz Plawecki. In his recent bout last December in Rotterdam he also lost by decision against against Tyjani Beztati of Morocco. Earlier this week FIGHTMAG reported the second encounter between Buakaw and Liberian-Australian Victor Nagbe. The match up has now been confirmed, serving as a headline bout of ‘All Star Fight 4’ held in Hong Kong on May 21. The event will be the first promotion outside Thailand, with first three events held in Bangkok.